Our friend Sara cleverly dubbed us the “cookbook twins” and that’s a nickname we think we can get behind. While it seems like our blogging days here on The Skinny Beet are few and far between, it doesn’t mean we’ve slowed down at all. By some total freak chance, we each both received separate cookbook deals recently. 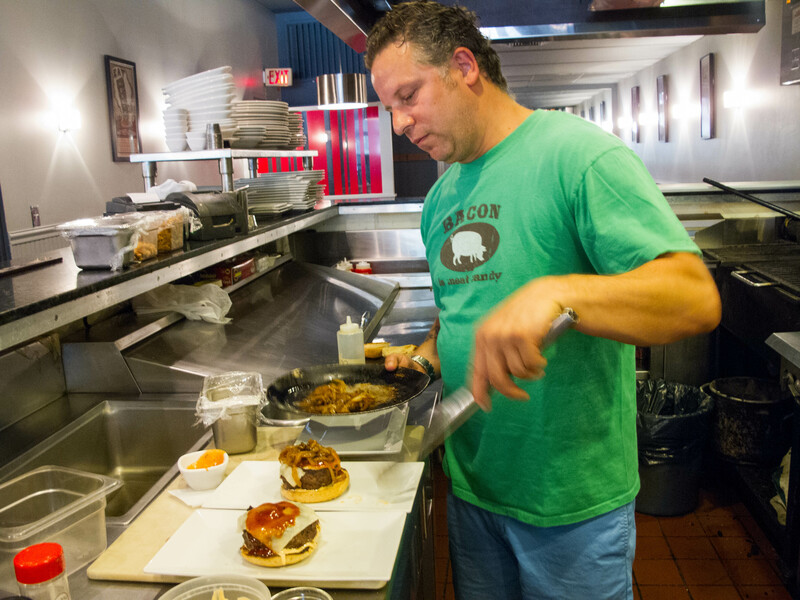 Richard is writing a burger cookbook with their friend Sam (formerly of JM Curley) and Katie is writing a book on SuperFood Sandwiches. Katie is also doing the photography for both books so we are busy folks these days. Happy and thrilled for these wonderful opportunities, but crazy involved with them too. Our podcast continues to roll out, Richard just started his first in a series of burger pop-ups all over Boston, and Katie is all over Eater Boston, crushing it with interviews, articles and pictures. We’ll be updating with news on our books along the way, so please check back in soon. Cheers! Man, where does the time go? I’m sure a lot of it has to do with the wedding and the honeymoon (Italy, sigh) but this year has flown by. We are still doing our thing, taking on more and more personal chef clients, talking to other lovely couples about catering their weddings next year, and booking private holiday parties for the next couple of months. Phew. In addition to all of that, Katie has started writing for Eater Boston (!!!) 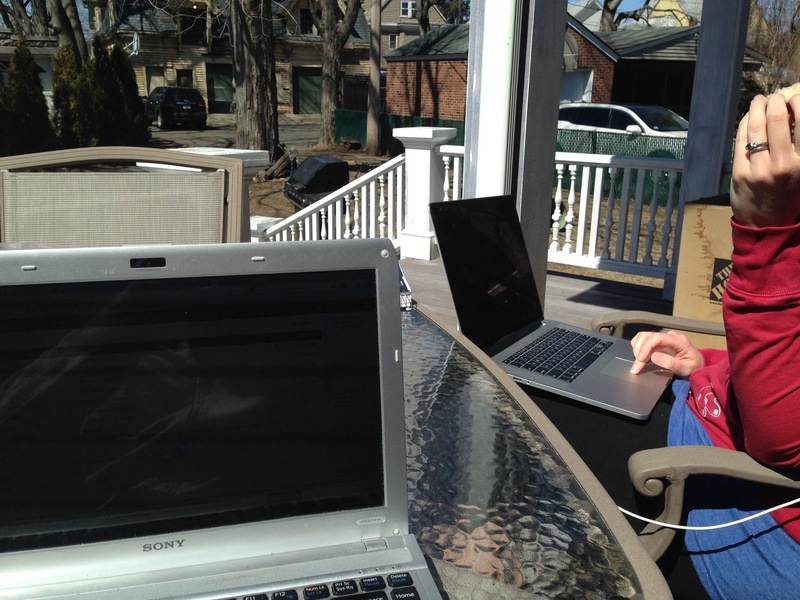 and Richard is still going strong contributing to Boston Magazine with two columns now. And then there’s the podcast, which we are so excited for, we’ve had a wonderful lineup of chefs, photographers, bloggers, bartenders and restauranteurs, and some incredible people lined up for future episodes. Richard also just launched the Boston Burger Blog App (free for iTunes) and somewhere in all of that we’ve found the time to cook lots of fun projects at home, including homemade cheese and our own bitters. So keep checking back as we can’t wait share more news, recipes and all of our latest cooking adventures in the weeks to come. Cheers!! 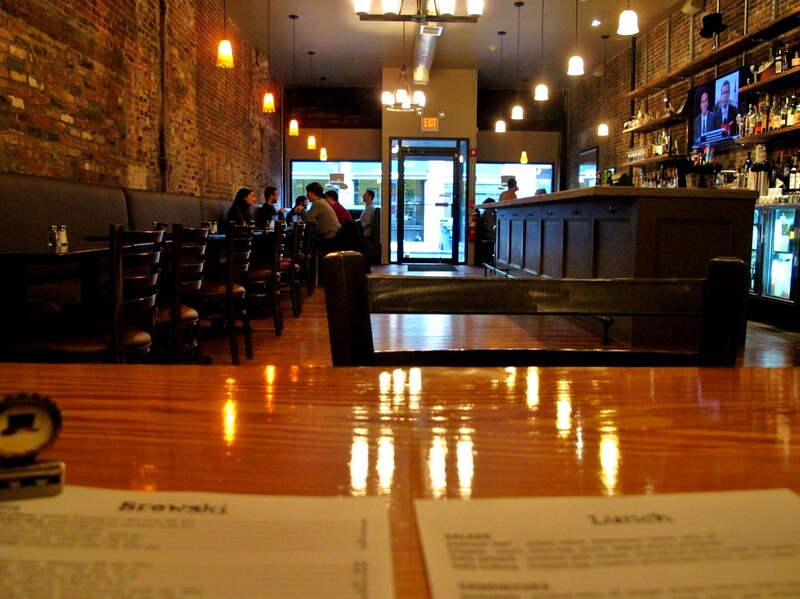 We went to meet with Chef Andy Husbands at his South End restaurant, Tremont 647, on a windy late summer afternoon. Unsure of where to go since the restaurant was closed until dinner service, we snuck around the back and our noses led the way to a smoker that filled the air with that oh-so glorious aroma we all know and love. Husbands’ food is hard to nail-down and describe; the restaurant menu is familiar and fun, classic dishes that are tried and true with international influences heavily abundant. 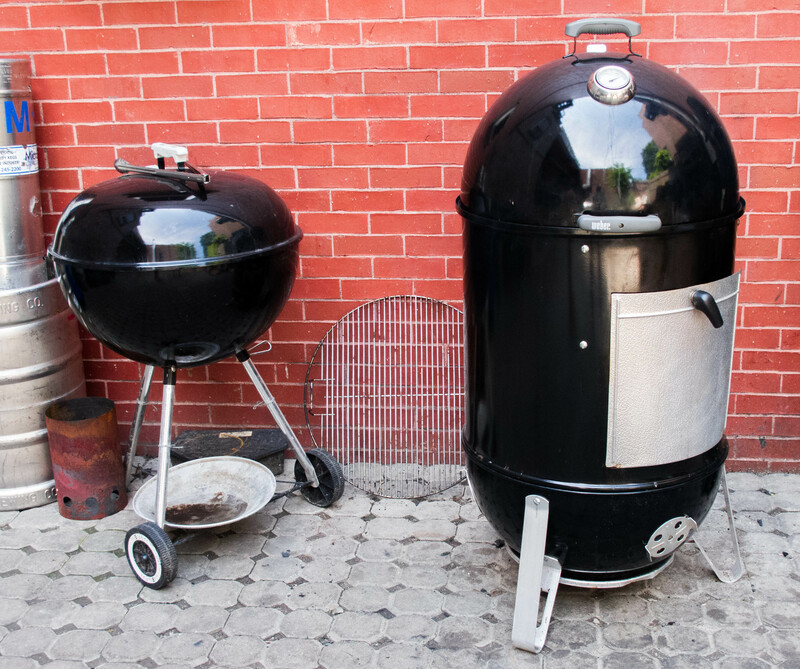 Husbands had a strong run on Hell’s Kitchen a few seasons ago and when he’s not busy at the restaurant he’s participating in Barbecue competitions. He’s clearly a busy guy but you can tell he’s as enthusiastic as any chef out there. 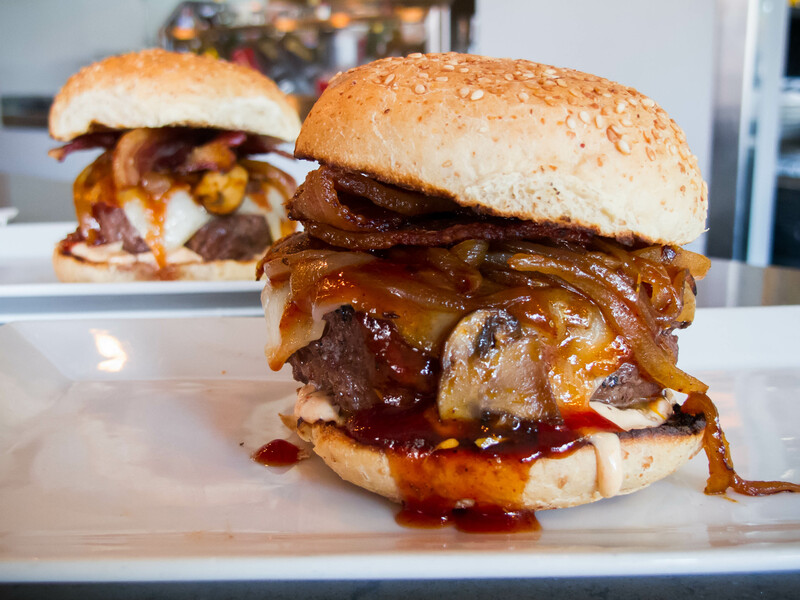 Much to our delight, Husbands tells us we’re going to be making burgers, the perfect dish to bridge together his comfort food meets barbecue influences. We start by making a barbecue sauce, which Husbands half-jokingly tells us will be one of the top-five barbecue sauces we’ve ever had. It starts out fairly standard but then there’s the Husbands twist; layers of Umami are sprinkled throughout as the sauce simmers and bubbles away, we’re getting pretty hungry. We grab some burgers from the downstairs walk-in and Husbands lights a grill. We fire questions at him and his answers are very calculated and passionate. He loves giving it right back to us; trying to catch us off guard he inquires about our business and asks us some culinary questions of our own. We’re excited to talk shop with him, and learning the tricks and thought process of such an accomplished chef is truly a rewarding experience. We watch closely as Husbands slaps the burgers onto the hot grill, it’s all starting to come together and the smell of smoke and the charred meat is simply intoxicating. Chef Husbands moves quickly and talks even faster. He has so much knowledge and gusto for what he does you can’t help but respect the hell out of him. When we ask him towards the end our time what he most wants to be remembered by, he says “great food and hospitality.” He may have his imprint on many endeavours right now, but Husbands knows what he wants and how best to do it. As long as that involves making killer food night after night no matter where he is, he’s always going to be one o Boston’s top chefs. 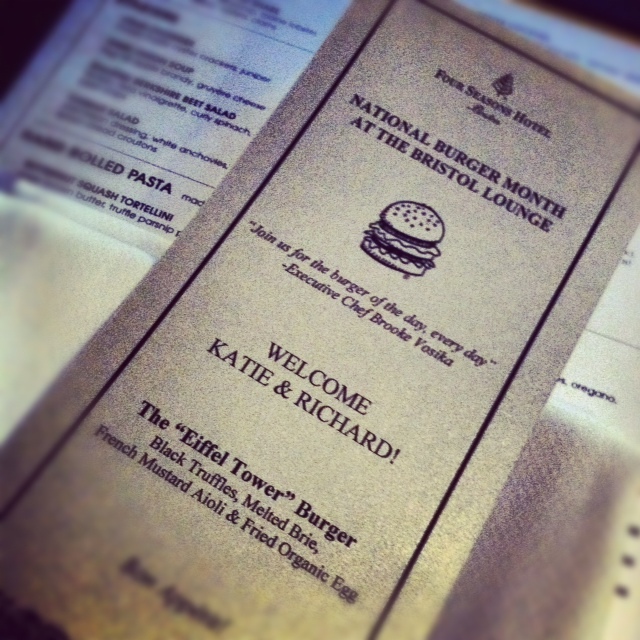 A couple of weeks ago we were invited into the Bristol Lounge at the Four Season’s Hotel to celebrate burger month, an event they chose to mark by creating different daily burgers inspired by various cities. 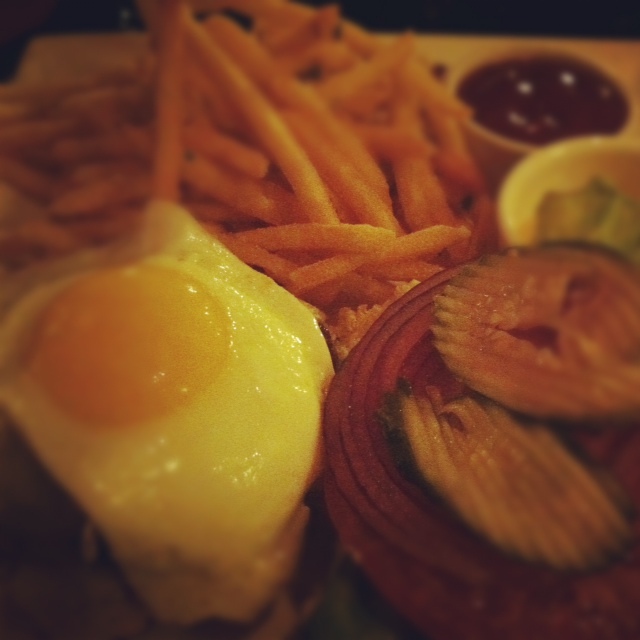 We sat at a beautiful table overlooking the park and we sipped cocktails while we dined on a Parisian take on their famous burger and truffle fries (complete with Goat Cheese, Truffles and topped off with a fried egg). While dining, we were informed of two contests that they were running throughout the month. The first, a complimentary steak dinner for two and a night’s stay in one of the hotel’s luxury suites for the person who can eat all 31 of the burgers. (Richard was up for the challenge, Katie was a little more hesitant..) The second contest, and something that was a little more our speed; create and tweet your own burger inspired by a city not already on their list. The winner would get his/her burger featured on their menu along with an invitation to come in and try it. We immediately got to work clogging their twitter feed with ideas and they selected one of them: The Jamaican Burger: Jerk Chicken Burger with Mango Salsa and Plantain Chips! The burger will be featured on May 29th. The only problem? We’re not around that day to try it, but we’d like to send two lucky readers in our place to check it out! Are ya in?? If you’d like to see yourself at the Four Seasons, eating one of their famous burgers, you can enter simply by leaving us a comment on what fun city inspired burger you’d create and we’ll randomly select one lucky winner (and their guest) to go to the Bristol Lounge on the 29th and enjoy the Jamaican Burger! 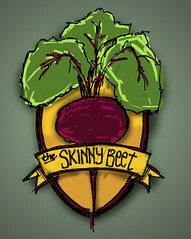 If you’d like to increase your odds of winning, Tweet “I want the @TheSkinnyBeet #Burger @FSBoston!”. We’ll be randomly picking a reader this Friday, so act quickly!